Only 3 more steps before you're ready to launch companywide. Add Spoke where you work. 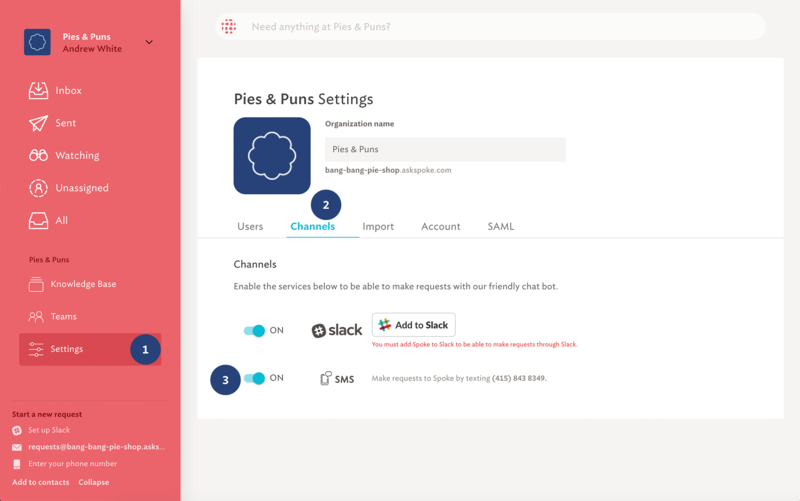 We will talk about Slack first; use the table of contents to read about email and SMS as well! Coach Spoke a bit more, ask the same questions we started with, using the new channels you've connected. In Spoke, navigate to Settings > Channels to view all channels that can currently be connected. 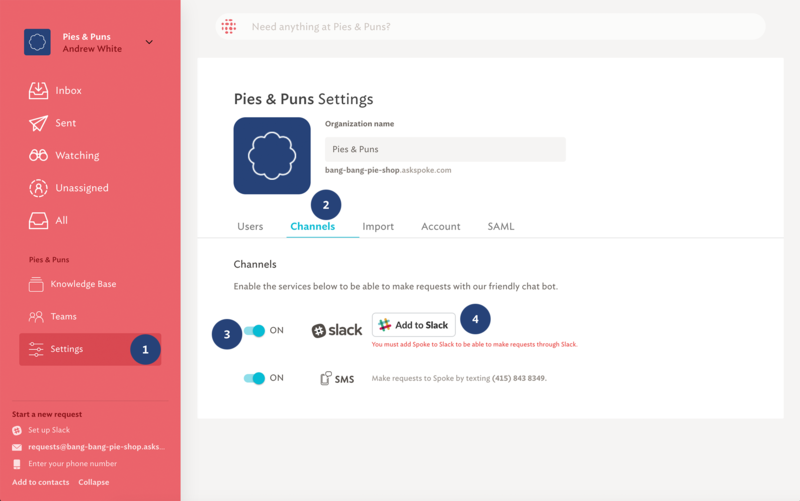 Turn the Slack toggle to "on"
Spoke will connect with Slack and you will be asked to authorize the connection. Once you have authorized Spoke's connection to Slack, it's time to make sure it works! If Spoke is confident in the answer, it will serve up the closest answer you have created in your knowledge base. Asking the same questions from different channels helps Spoke learn, and become more confident in answering for you! If Spoke doesn't reply with an answer, never fear! Navigate back to the web interface and answer these questions again. This helps Spoke's machine learning each time. 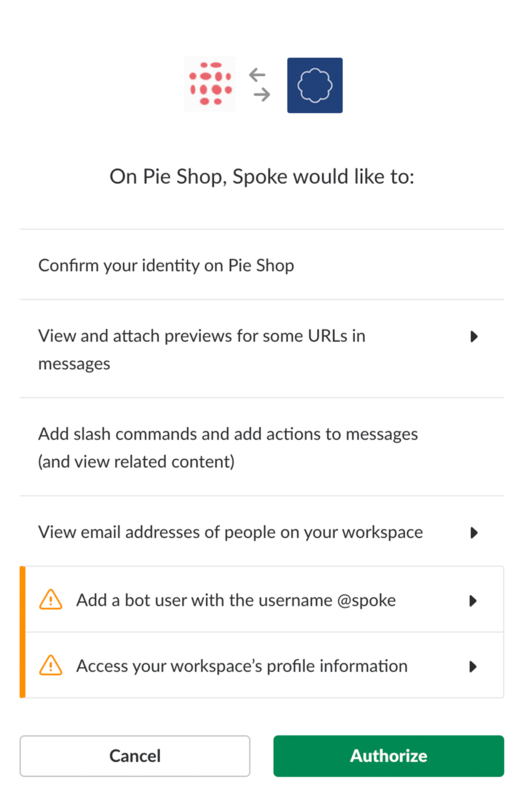 Spoke's general e-mail address is in the lower left of your Spoke dashboard. Sending an email to this address is like creating a general request. 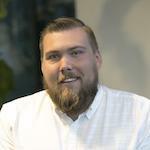 Spoke will auto-assign the request to the team who can help. 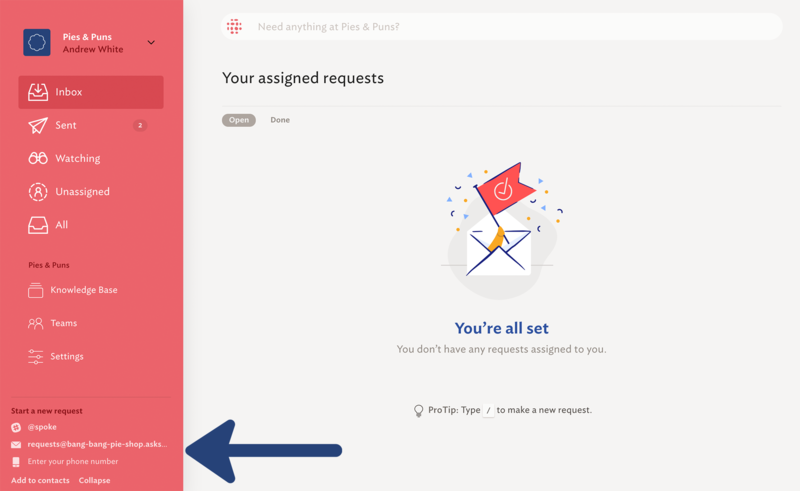 If you know which team you'd like to send your request to, navigate to "Teams" and choose the team you'd like to email. You will find the team specific email in the team details view. 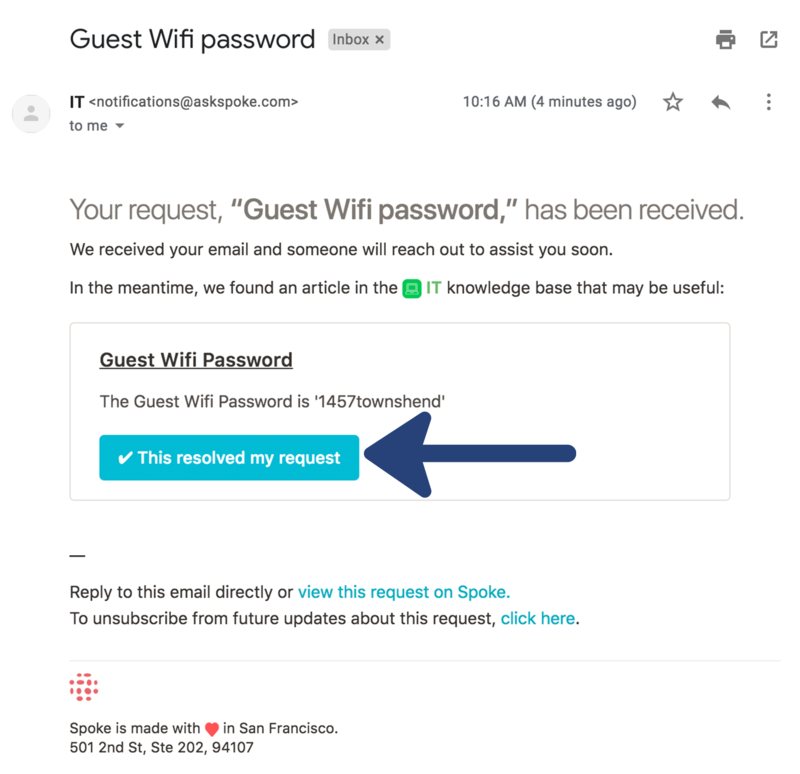 Starting a request over email is the same as starting one on the web with Spoke. The platform will search for existing knowledge base resources that can answer, and if nothing is available, Spoke will assign the ticket to a team. When Spoke responds with a resource, be sure to let Spoke know if its answer was helpful or not. Your reply helps Spoke to learn how to respond to requests. If the answer wasn't helpful, Spoke will get your request to the right person for a resolution. To help Spoke read your question clearly, add a "--" above your email signature. 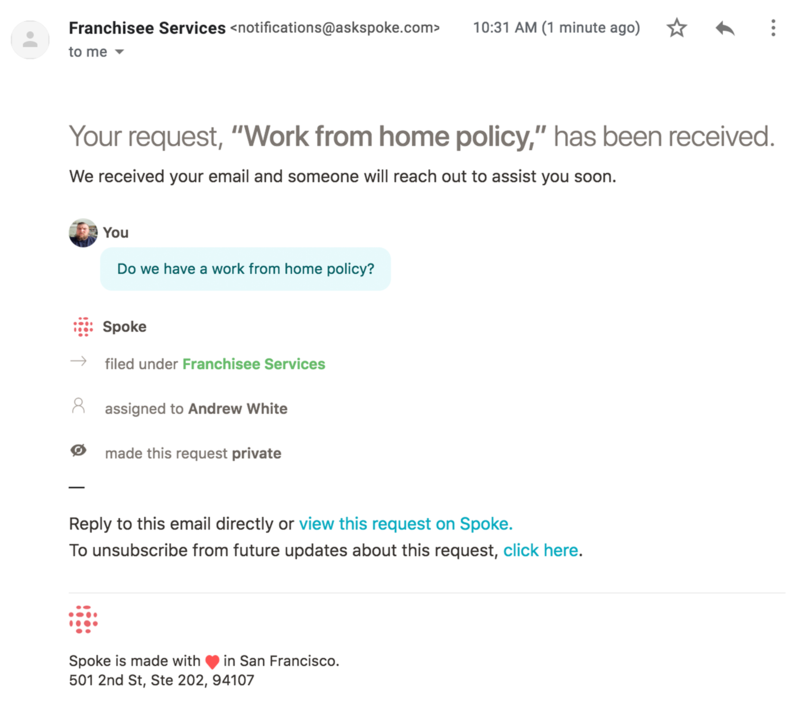 This helps Spoke understand which part of your email is the request. Once you click "Save settings," Spoke will generate a text-only number to contact your Spoke account. The number will be immediately visible to you and anyone else who logs in. 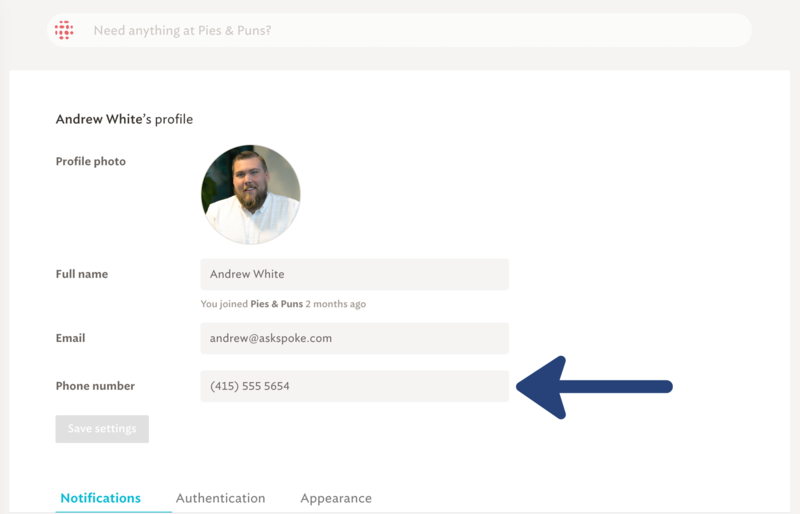 You will also need to make sure that your users have phone numbers saved within their Spoke user profiles. This allows Spoke to confirm which users are able to access your company information. This is all your number is used for; Spoke won't be calling you when we're lonely or to sell you stuff at dinner time. Once these steps are completed, simply send a text to the SMS number and voila! Spoke will respond with more information almost immediately via text. You can respond and use Spoke directly via text, or login to the platform.